After completing my Psychology degree, I began my career working with people who had severe learning disabilities. During this time, I decided to train as an Arts Psychotherapist as I wanted to be able to offer good emotional support to the people in my care. Since then, I moved to working with adults with mental health problems within both Social Services teams and also for the NHS. Over a period of 20 years, I have worked with people in hospitals, Day Centres and GP surgeries. I have offered therapeutic support to those who were experiencing a wide range of mental health difficulties such as depression, anxiety, obsessive compulsive disorder, Post traumatic stress disorder. 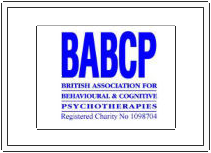 I decided to extend my skills further and trained to work as a Cognitive Behaviour Therapist as part of the Improving Access to Psychological Therapy Programme. In 2012, I started working with children, young people and their families. I had discovered during my adult work that the people I supported had often experienced loss, trauma or other difficulties during their earlier years. I decided I needed to complete specialist training for working with children and young people. I believe that giving the right support at the right time in life can help prevent difficulties developing in later years. I have been working for two local charities offering therapy to children, young people and their families. My most recent training means that I am well equipped to provide up-to-date, high quality support to my clients. 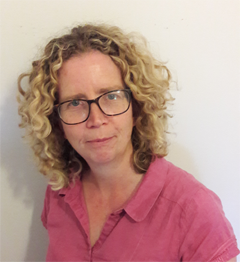 I joined the Dunton Centre in 2016 as I wanted to be able to combine all of my skills and experiences and use them to develop an independent practice. I am able to offer, long term, time limited and also group therapy sessions. My original training as an Arts Psychotherapist was based around a Psychodynamic approach. I have since added Cognitive Behaviour Therapy and a more integrative style to my toolkit. This means that I am able to be flexible in my approach and find the best and most effective way to support someone. I work with children, young people and their families from the age of four years and upwards. I also offer support to adults who may be struggling with life’s challenges. I am able to use different creative media to help someone gain insight into their difficulties and make positive changes in their lives. I offer a warm non-judgemental environment where people can explore their difficulties. After an initial assessment meeting, I like to meet with people for four further sessions before deciding upon our next steps together. Please contact me to discuss my fees.